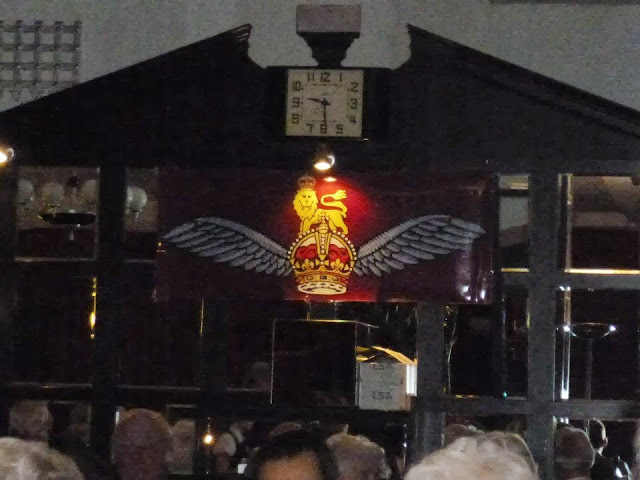 On Friday 11th of October I represented Chalk and commenced the long drive down to Bournemouth for the Annual Reunion of the Glider Pilot Regiment Association in my capacity as a 'Friend of the Eagle'. I'd agreed to take down a selection of weapons, uniforms and kit to display on for Saturday evenings dinner. Poor weather and traffic turned a long journey in to a nightmare but by 18.30hrs I was on site to meet up with Steve Wright and by 18.45hrs I was sipping a pint and in deep conversation with the daughter of a former Glider Pilot who had attended in order to find out more information about her father. I was then introduced (by Steve, a true godsend) to several veterans before taking dinner in the main dining room of the hotel followed by a good chin wag before sloping off to bed only to find that my excitement (and below par matress) prevented much sleep! After breakfast on the Saturday morning, Steve showed my around some of Bournemouths sights, the most outstanding of which was the Russell Cotes museum, simply a superb way to spend the morning. Then a quick lunch back at the hotel, accompanied by more chatting and 'interviews' of the veterans, all the time pinching myself; as I chat to Hugh Martin about his involvement in Operation Dingson over his shoulder is Arthur Shackleton cracking jokes and in the corner is Peter Clarke and so on and so on... marvellous stuff. At 18.30 I started to set up the display in the main dining room, the tables already set with GPRA menus and a large pair of Glider Pilot wings are positioned above the top table. The hotel staff are helpful and intrigued by my collection in equal measure, a few of them posing for photographs with the Sten and Colt .45! At 7.30 dinner begins and I find myself sat with Peter Clarke, Des Page, Steve Wright and Associate guests. Good food and better conversation followed, I even won a box of Swiss chocolates in the raffle. After eating I dashed over to man the display which went down very well amongst all the guests so my journey was not wasted. However, the absolute highlight of the weekend has to be that my membership position of 'Friend of the Eagle' has been promoted to Associate Member (a position normally reserved for family members of former Glider Pilots), I'm absolutely over the moon with this and drove home with a real smile on my face! I can only hope that Chalk's association with the GPRA can grow and that we can always do them and the Regiment justice. 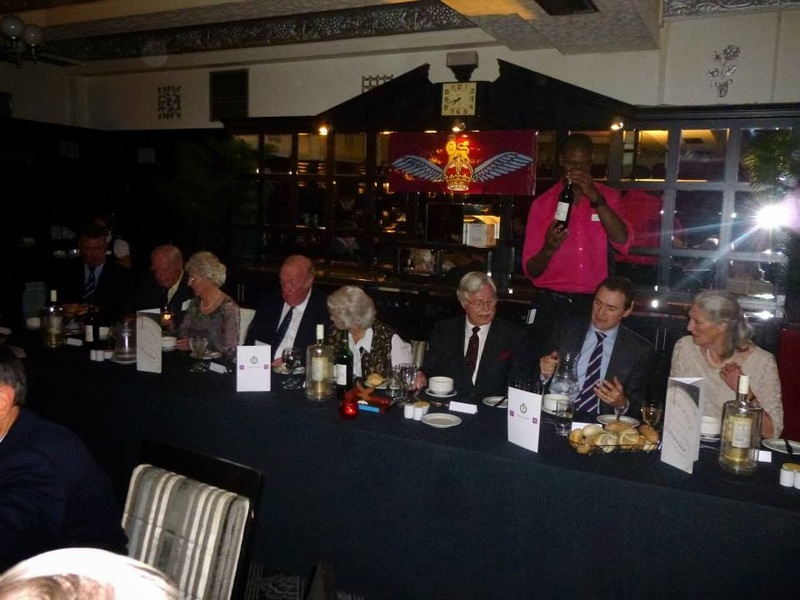 The top table (photo courtesy of Steve Wright). The Glider Pilot Wings (photo courtesy of Steve Wright). 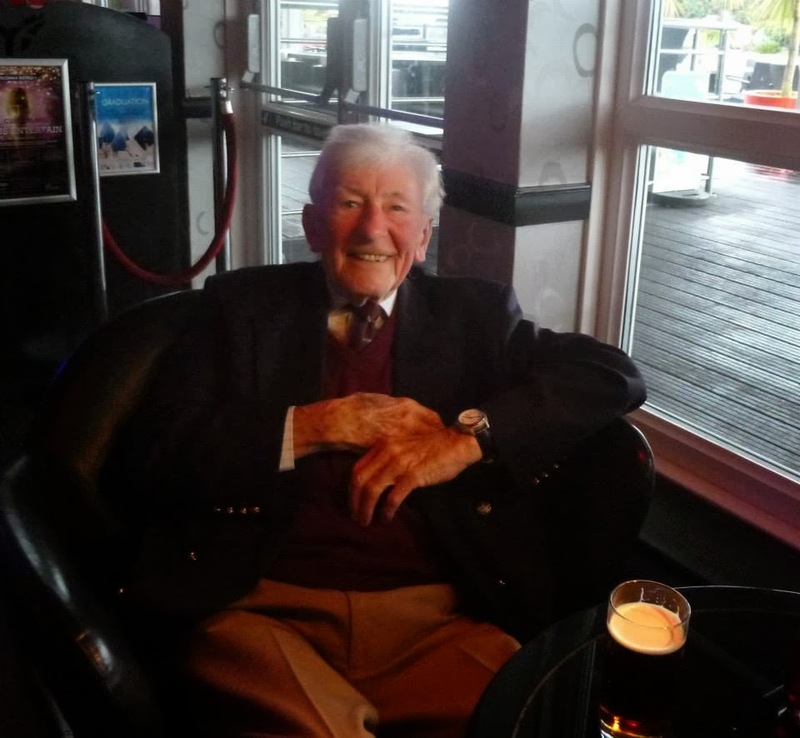 A relaxed Jim Hooper, ex B Squadron, 20 Flight (photo courtesy of Steve Wright). 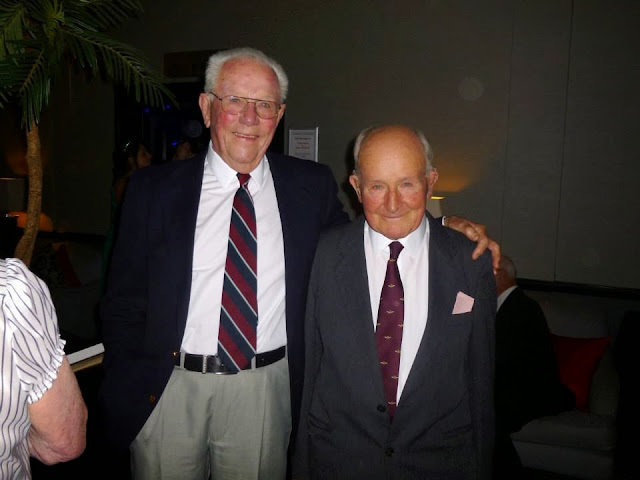 A Tug and Glider Pilot still attached 69 years later! Flight Lieutenant Doug Coxell ex 296 Squadron RAF with Laurie Weeden of 14 Flight F Squadron. Both were at Arnhem with Doug flying his Albemarle from Manston on the 17 September (photo courtesy of Steve Wright). The Chalk display (and raffle prizes).